The Daffodil Delight Cardstock is embossed with the Fancy Fan Embossing Folder. I turned it sideways so it would resemble chicken wire! : ) The chick is stamped from the Cheerful Critters stamp set. This is a color combination that I would never have considered without working with a challenge. I love how challenges broaden our horizons! 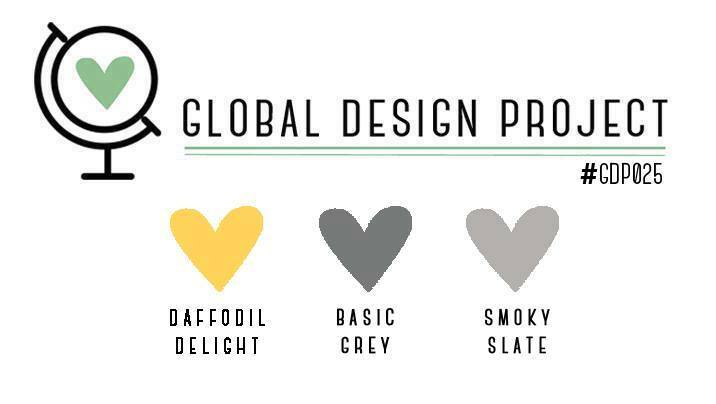 Thanks, Global Design Project! 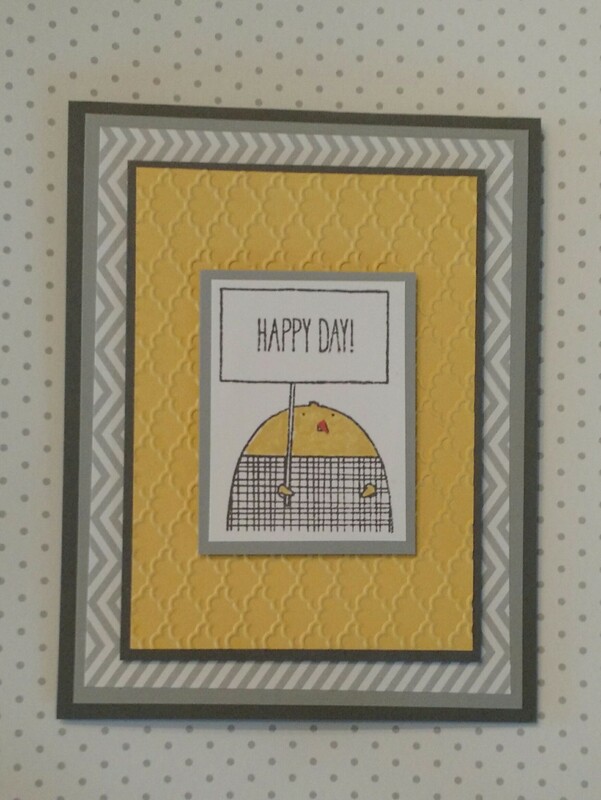 This is the first card I made, after my husband suggested that I add a stripe of yellow! The elephant is from the Patterned Occasions stamp set and the inside sentiment is from the Oh My Goodies stamp set.